From Wendy’s smarmy Twitter comebacks to IHop rebranding themselves entirely for a time to show that they too serve hamburgers, it seems that viral marketing has taken on a whole new level of meaning in the age of the Internet. Consumers are hungry for more than fast food these days, especially during the holiday season. Luckily, one Topeka, Kansas-based shoe seller has come up with an equally clever, if not a little dishonest way to comment on the absurd prices of footwear out there in the open market. 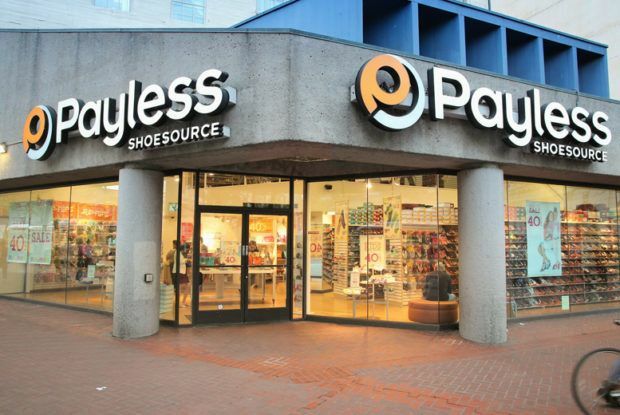 Since the late 1950s, Payless Shoesource Inc. has been one of the biggest names in discount footwear. They do exactly what they say they do: sell shoes at discount prices. Like every other brick-and-mortar retailer, the past few years have seen them having their own share of trouble competing with online retailers like Zappos and other luxury shoe outlets. 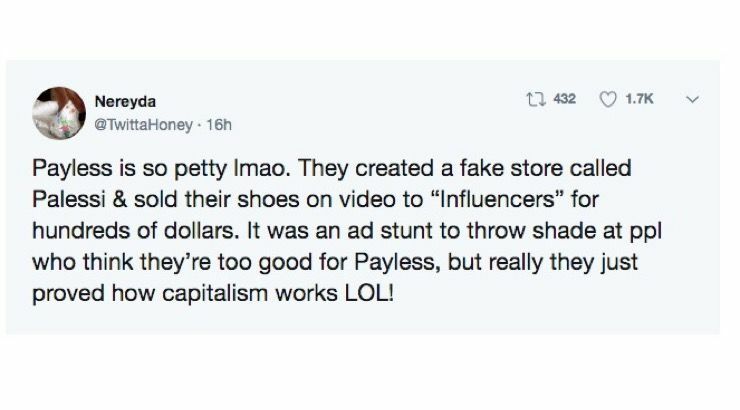 Recently, Payless took part in a rather clever reverse of a bait-and-switch operation in conjunction with a luxury influencer in Santa Monica, California. The event took place at a former Armani store, which they renamed “Palessi” for the occasion. They stocked the entire place full of their discount-priced boots, heels, tennis and leisure shoes. Then they opened the doors. They invited partygoers to come in and buy the shoes, normally priced between $20 and $40 and sold them with inflated designer price tags and prices of upwards of $200 to $600. 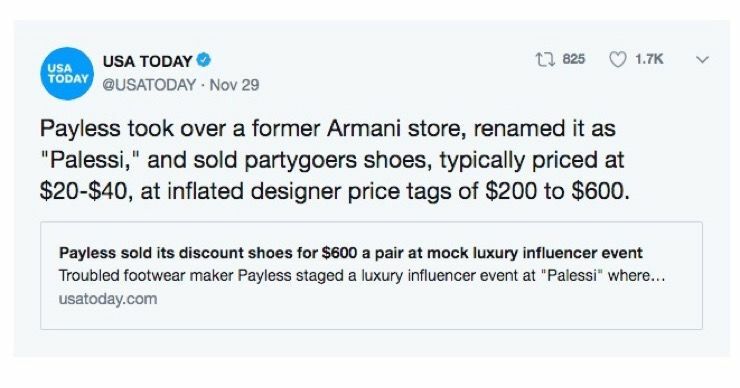 Each person who went away with a pair described them as “elegant” or “sophisticated,” heedless of the fact that they were paying for the same cheap shoes as everyone a few income brackets lower. They, of course, refunded the inflated prices after letting the secret out and plan to use the video testimonials as commercials on social media and TV in the coming months. 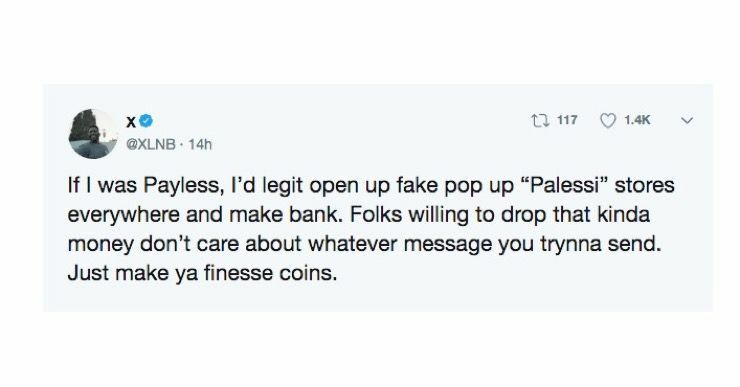 Palessi sold about $3,000 worth of shoes in a few hours, pretty impressive all things considered. The campaign proved that the discount store is still a great place to shop for affordable, fashionable, well-made shoes.